So let me start by introducing myself. I decided to move to Lagos, Nigeria after living in the United States for over 13 years without ever visiting. I moved back because I was curious about the country of my heritage and I wanted to develop relationships with my Nigerian family. By moving back, I’ve done that and so much more. I’ve worked in the country, navigated the dysfunctional infrastructure, learned a bit of Yoruba and most importantly, I’ve fallen in love with the contradictions that are my mother country. I’m writing Danfo Days in order to share a snapshot of what living in Lagos is like. In Lagos, danfo buses provide transportation for the average citizen. Lagosians take these buses to work, to the market, the tailor, church/mosque– just about everywhere and anywhere. 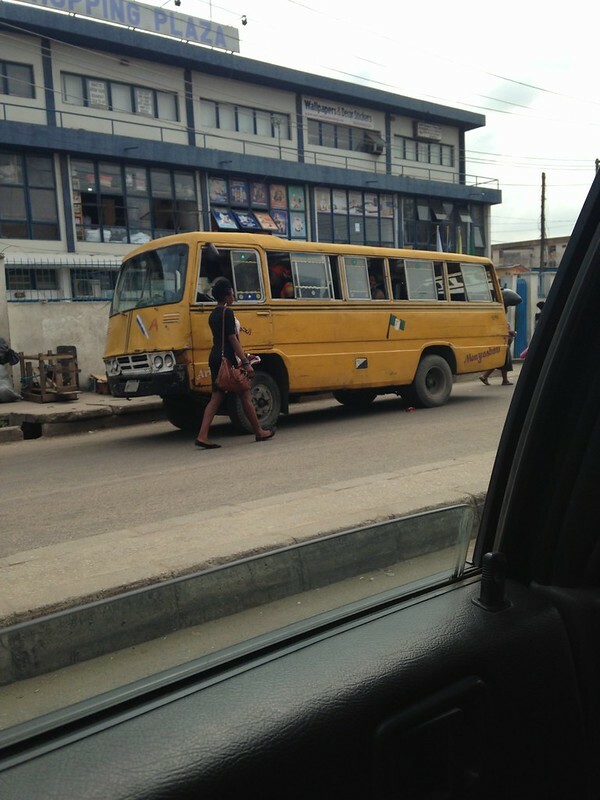 Daily interactions on the danfo buses often epitomize Lagos as a place of many contradictions. For instance, the danfo bus conductors are some of the rudest people in Lagos; but when you are lost, they are also oftentimes the most helpful person. My first time riding a danfo I saw a mother carrying an infant on her back while also carrying her toddler on her lap. Any discomfort I felt from riding the rickety bus became meaningless after seeing this mother. Similarly, safety has taken on a whole new meaning as I’ve watched mothers and fathers sprint across high traffic, multi-lane highways with their children in order to transfer to another danfo bus. I hope this blog series can provide a glimpse into the daily struggles and triumphs of navigating an African mega-city like Lagos. Post and image by Bukky Adebayo.